Upon arrival at the airport, you will be met by a representative and transferred to your hotel. The remainder of your day is for you to explore the historic neighborhoods and enjoy the cafe culture of Buenos Aires. Today, you will embark on tour of the spectacular city of Buenos Aires. First, stop and discover the history of May Square, the site of the most important historical events and their protagonists since its foundation: see its surroundings, the most emblematic buildings, and learn all about them. Enjoy May Avenue and wonder in awe at the oldest residential neighborhood in Buenos Aires: San Telmo. Walk along its cobble-stoned streets and discover its antiques shops and picturesque buildings. Live and feel the original Tango in the neighborhood of La Boca: walk along Caminito Street and enjoy the dancers and souvenir shops. See the mythical Boca Juniors Soccer Stadium. Contemplate the modernization of the city whilst traveling along Madero Port and its exclusive docks, full of excellent restaurants and large offices. Pass through the Retiro neighborhood and move on to see Palermo and its most exclusive residential area before finally arriving at Recoleta. After breakfast, you will be taken to the domestic airport for your flight to Puerto Iguazu (flight not included, to be booked by agent). Upon arrival, you will be taken to your hotel to check-in and spend the afternoon relaxing and enjoying the tropical climate and jungle setting. Begin your morning at the hotel. Iguazu National Park, a total of 55,500 hectares— bears the name of the river serving as northern border, which means “great waters“ in the Guaraní language. Surrounded by a lush subtropical rainforest, you will find the majestic Iguazú Waterfalls. Its water volume and more than 275 falls places it amongst the most important and spectacular waterfalls in the world. On different footbridges, visit the heart of the waterfalls, appreciating them from different angles. You will visit the lower circuit, and feel part of nature, refreshing ourselves with waterfall drizzle. On the upper circuit, stop at different viewpoints, and then reach the balcony at Garganta del Diablo (Devil’s Throat). Located on the west end of the Paraná River, the Iguazu Park is a huge tropical rainforest which has been declared a World Heritage Site: it is one of the largest forest reserves in South America. Countless flora and fauna species live in it. You will take an elevator down to the base of the waterfalls and stop right above the river level. From a 1,000-meter footbridge, you will be able to admire the majestic Iguazu Falls or go up an elevator to the Salto Floreano viewpoint. Later in the afternoon, you will be transferred to the airport to take your flight to Buenos Aires (flight is not included, to be booked by agent). After breakfast, you will be transferred to the airport for your returning flight to Buenos Aires (not included, to be booked by agent). Upon arrival to Bueno Aires, you will be transferred to your hotel. Today is free for you to enjoy your day in the city of Buenos Aires at your leisure, either exploring on your own or choosing one of our many extra tour options. If the day falls on a Sunday, you may wish to take a stroll around the colorful San Telmo Market. Alternatively, you can take a morning walk through the Palermo Woods and the Rose Garden. You can also visit the Evita Museum and the MALBA (Museum of Latin American Art). Another great option is a day trip to Colonia del Sacramento in Uruguay. Just ask your Argentina travel specialist if you for any advice or suggestions. Have breakfast on your final day in Argentina. Depending on your departure time, you will be taken to the airport to take your flight back home. Air-conditioned rooms feature flat-screens with satellite TV and mini-bars. Rooms are styled in cream-colored hues, have stylish mahogany furniture, and floor-to-ceiling curtains. Bathrooms have marble fittings and include separate bath and shower. 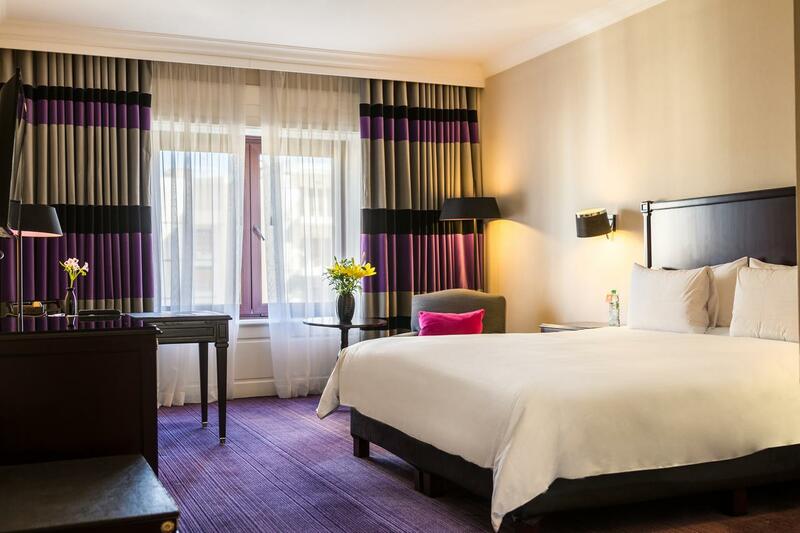 Sofitel Buenos Aires Recoleta is 13 blocks from Colon Theater and historic Recoleta Cemetery is 8 blocks away. Jorge Newbery Airport is 3.1 mi from the property. 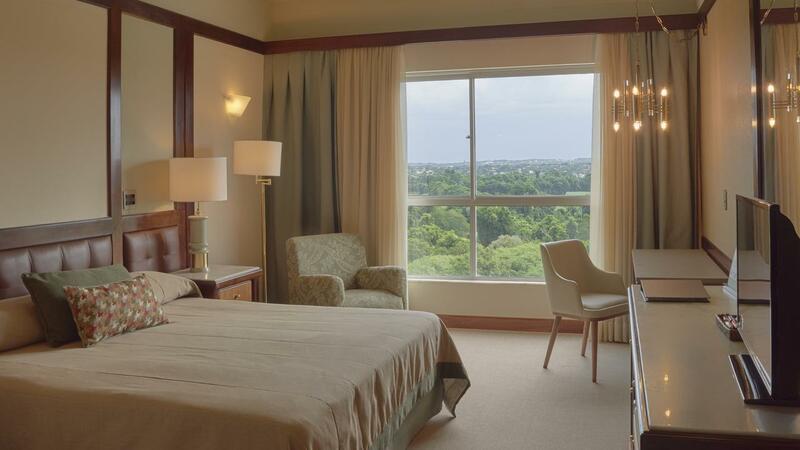 Ideally located on the borders of Brazil, Argentina and Paraguay, this completely nonsmoking 5-star resort hotel offers modern accommodations just 14 mi from the Iguassú Falls. Free WiFi is available throughout the property.